Welcome to DANCEBLEND " Mobile Ballroom & Social Dance Lessons"
DANCEBLEND offers the best mobile dance lesson service in the ballroom and social dancing industry! Our dance lessons are mobile so this allows for privacy and comfort, since you can have your dance lesson in your own home. We will go to you! We are available mornings, afternoons, and evenings. 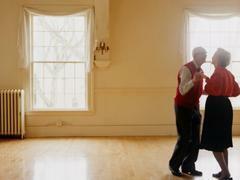 We adapt to you and your partners dance style or rhythm. 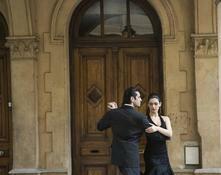 If needed, floor space for your dance lesson may be arranged in your city (Floor fees apply). You no longer have to wait in rotation for your music to play. Feel free to provide us your CD, connect your Ipod, and request any song and we will play it. Our dance lessons are personalized to fit you and your dance partner! DANCEBLEND services Los Angeles County, Orange County, & Riverside County. Dancing for the love of dancing! Do you want to learn how to dance? Our Dance Lessons are personalized to how you move and learn. Take a dance lesson with us and get an additional 20 minutes for free on your 1st mobile dance lesson!